You are at:Home»Featured»Finally, Catholicism En Français! 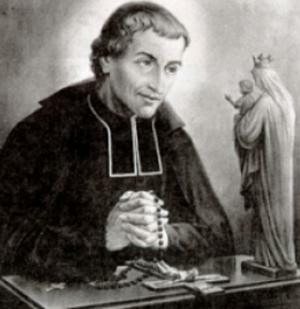 Have you ever wondered what it would be like to read The Story of a Soul by Saint Thérése or True Devotion to Mary by St. Louis de Montfort in their original French? Doing that with new copies was formerly a distant dream or an expensive reality, since there were next to no Catholic books published in French in the United States. However, the day is drawing closer when we can easily and economéically obtain numerous Catholic classics in the French language. Catholic Book Publishing Corporation (CBPC) has already started printing prayer books and children’s books in French. One of my favorites from their current crop is Le Rosaire, a small booklet with all four sets of the mysteries of the rosary, colorfully and skillfully illustrated, and accompanied by a specific virtue for each mystery. Le Rosaire is a great aid for reflecting on the mysteries of the life of Christ and receiving the graces necessary to live up to the exalted Christian calling. This is true for readers of any age, but I think it may be most true for younger readers because of the images the booklet contains. Young readers having access to Bible stories in French is made possible through La Bible en Images. It contains summaries of Old and New Testament stories, along with, as you can tell from the title, illustrations of these stories. Even someone who has no prior exposure to French can determine what many of the stories are about, based on knowledge of the Bible and English words that are similar in French. For example, Le Pharisien et Le Publicain is decipherable as the story of the Pharisee and the publican. And La Resurrection? If you can’t figure that one, you’re really in trouble. Anyhow, there should be no trouble in getting French teachers at Catholic schools across the country to go to CBPC’s site and check out what they have. Using French Catholic books not only helps students learn a foreign language, but also the Catholic faith. I even recommend that French teachers at public schools go to CBPC’s site, since some of their offerings directly relate to French and French-Canadian/American history and culture. For example, Notre Dame de Lourdes presents, in easy-to-read format, the story of the Blessed Virgin appearing to Saint Bernadette in the 1800s, an important part of the life of France not only from a spiritual and historical perspective, but also from a present-day sociological, health, and economic one. Lourdes is a frequently visited, internationally-known destination, so shouldn’t public school children learning French know the reasons behind its appeal? I did wonder about possible reasons for the use of certain subject-verb constructions in some of CBPC’s French books. For examples, the prayers found in Livre des Saints and the smaller paperback Le Livre des Saints (volumes 1 and 2) use the informal tu to address God. While it is easy to mentally change the wording to the formal vous, I hope future French books will all have God addressed in the vous form. If vous is used to address our elders, what reason would anyone have for using tu when speaking to God, who is infinitely superior to us? In any event, may we all speak to God in the most reverent terms—in whatever language we’re using—for His glory and for our salvation. This is becoming much easier due to Catholic Book Publishing Corporation, and I hope other publishers will catch on. TAN Books/St. Benedict Press has an English translation of an outstanding book that was first done in French, called Thoughts of Saint Thérèse. Why not publish the original French version? Following this could be the French originals for The Story of a Soul (L’Histoire d’une Âme) and True Devotion to Mary (Traité de La Vraie Dévotion à La Sainte Vierge). Pretty soon, we could have an entire library of Catholic classics in French. Ainsi-soit-il, pour la gloire de Dieu et le salut des âmes!